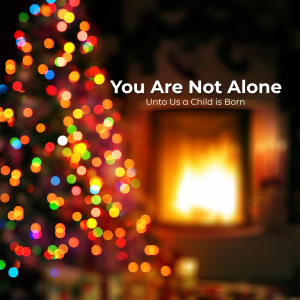 Advent and Christmas can be a busy and chaotic time for individuals and families. At times we can also feel lonely even while surrounded by the beautiful chaos. We’ve complied a list of events and happenings in the Haymarket and greater community here to help you truly celebrate this wonderful season. Town of Haymarket Christmas and Holiday Event (in Haymarket), 3:00 to 6:00 PM. Gravely Elementary School PTO Holiday Bazaar (in Haymarket), 10:00 AM to 2:00 PM. Santa Comes to Visit the Farm Brewery at Broad Run – with pictures (in Haymarket), 1:00 to 4:00 PM. Battlefield High School Orchestra Concert in the Battlefield auditorium, 7:00 PM. Battlefield High School Band Winter Concert, in the Battlefield auditorium, 7:00 PM. A Very Cozy Christmas Variety Show (in Haymarket), 3:00 to 4:00 PM. Rooftop Carols, Cookies, and Cocoa at the Old Bank Building (in Haymarket), 6:00 to 7:00 PM. Battlefield High School Chorus Winter Concert (you are asked to bring a canned good to donate – this is the cost of admission), in the Battlefield auditorium, 7:30 PM. Tacky Sweater Party and Sunday Morning Worship at Haymarket Church (in Haymarket) 10:00 to 11:00 AM. Christmas Eve Worship with Haymarket Church – Family Friendly Candlelight Communion Service with Christmas Carols at Gravely Elementary School (in Haymarket). Two services: 4:00 PM and 7:00 PM. Kid Again Tuesday at Meadowlark Winter Walk of Lights (in Vienna), 5:30 PM. Santa Lights Manassas (in Manassas), 5:15 to 7:00 PM. Warrenton Christmas Parade (in Warrenton), 6:00 PM. Holiday pet photos at the Prince William County SPCA (in Manassas), 2:00 to 5:00 PM. Georgetown Glow Light Art Festival – free opening night (in DC), 5:00 to 10:00 PM. Alexandria Holiday Boat Parade of Lights (in Alexandria), 5:30 to 7:30 PM. Family Christmas Art Night hosted by Mix Colors Art Studio (in Bristow), 6:00 to 8:00 PM. Jolly Ol’ Confections Holiday Sweets Tasting (in Manassas), 6:00 to 9:00 PM. Holiday Sugarloaf Crafts Festival at Dulles Expo Center (in Chantilly). Elf Movie Viewing Party at Alamo Drafthouse (in Ashburn), 7:00 to 9:00 PM. Christmas Illumination at Mount Vernon (in Mount Vernon), 5:30 PM. Land of Sweets Holiday Party at Alvey Elementary School (in Haymarket), 5:00 to 8:00 PM. Gingerbread House Workshop hosted by Simply Desserts (in Gainesville), 12:00 to 4:00 PM. Old Town Manassas Christmas Market and Holiday Craft Fair (in Manassas), 12:00 to 4:00 PM. A Christmas Story Movie Watching Party at Alamo Drafthouse (in Ashburn), 6:00 to 8:00 PM. A Christmas Story Movie Watching Party at Alamo Drafthouse (in Woodbridge), 6:00 to 8:00 PM. The Washington Chorus Family Christmas (in Fairfax), 2:00 to 3:30. Zoo Lights at the National Zoo (at the National Zoo in DC). Free to the public, from 5:00 to 9:00 PM daily. Santa at Merrifield Garden Center (in Gainesville). Do you have an event to add? We will review your entry upon submission. If it qualifies as a Haymarket or greater community Christmas event, we will post it to our Christmas in Haymarket page. Thank you. Looking for a place to connect this December? Check out our new Advent Small Group and Bible Study— ONLINE! Plan to spend an hour each December Tuesday (4, 11, and 18) 8:30-9:30 PM preparing for Christmas with others from our community from the comfort of your own home.